Captains might talk about how great they are or even perhaps, about how nice the boat is. 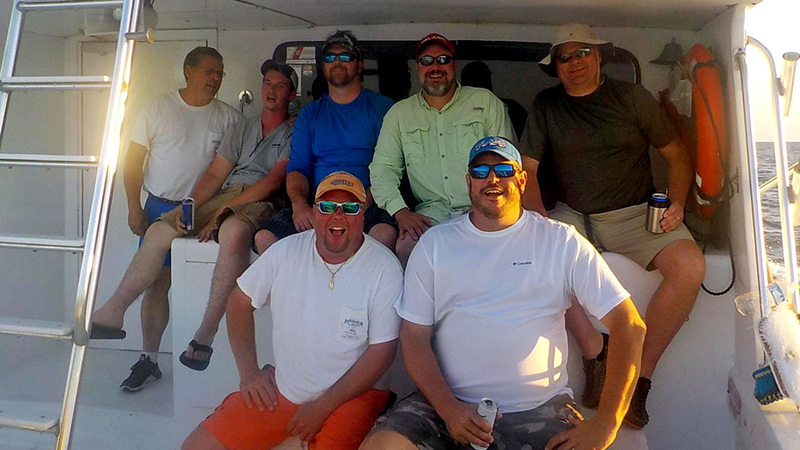 Well, that is all fine and dandy as the captain's ability is certainly a part of a successful trip, but, a good crew can make a big difference between a good trip and a great trip! Captain Reuben Ware was born in Marietta, Georgia and moved to Pensacola, Florida in 1978. 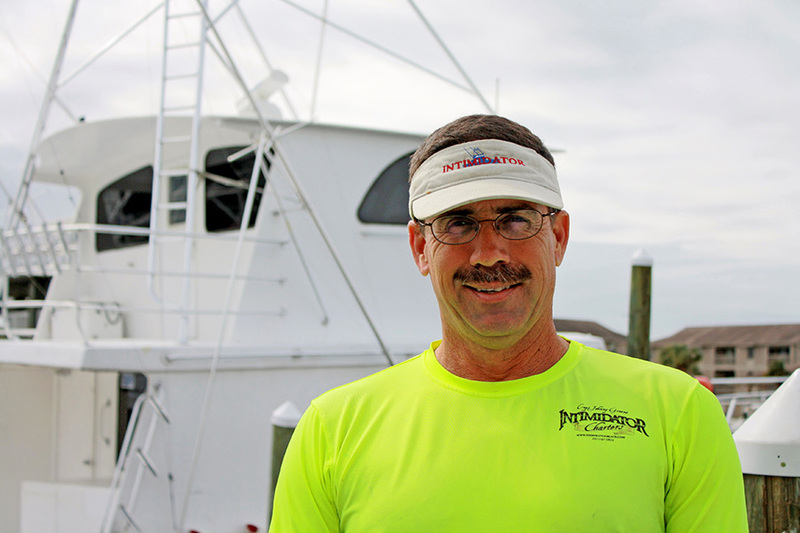 He began his adventure aboard the Intimidator in 1996 and has been with us over 20 years. 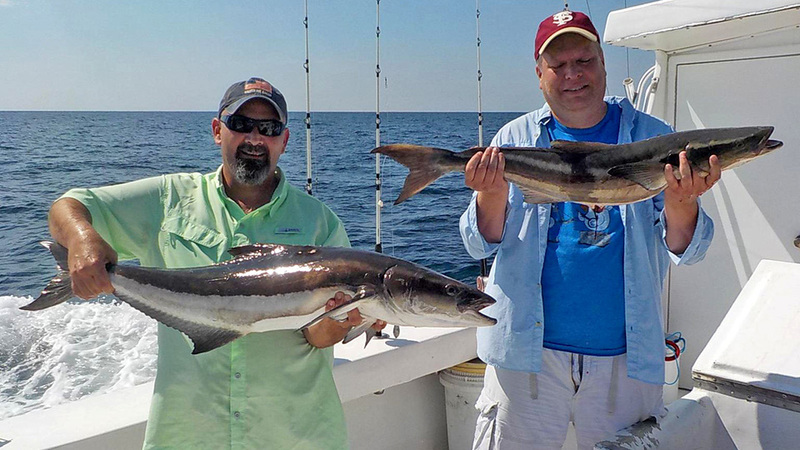 Reuben and Captain Johnny Greene have been friends for over thirty years and have fished together from skiffs to center consoles and bonded over building the Intimidator together. 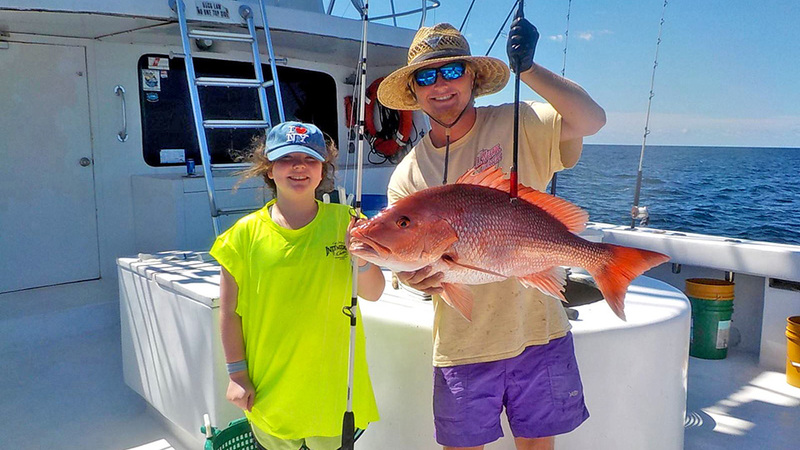 Reuben thoroughly enjoys tuna fishing; he said: “you never know what you are going to get.” The first fish he remembers catching is a half pound warmouth out of east central Georgia with his Grandfather. 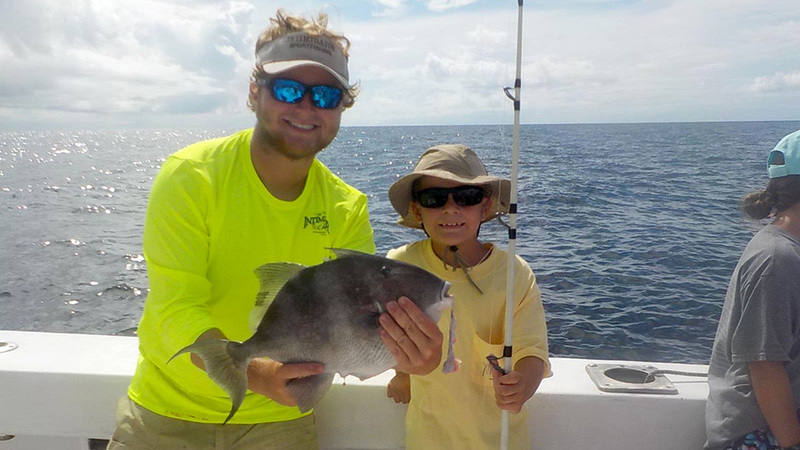 One of Captain Ware’s favorite things to do is to watch kid’s faces light up when they have caught their first fish and loves being a part of the experience for the families. 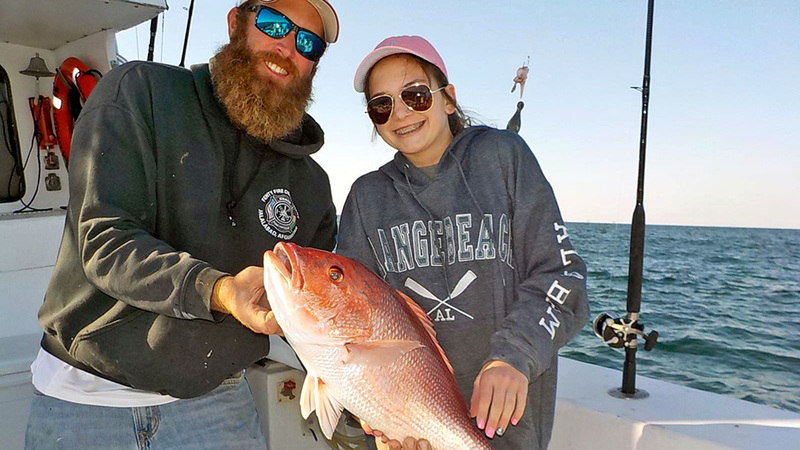 Reuben’s advice for people who have never been deep sea fishing before, is to make sure that you are in the right mindset, it is about having fun, not catching everything you can. He also revealed one of his secrets that if you have a positive attitude, it helps to make the fish bite. His favorite memory on the Intimidator is finishing up building the boat and being able to put it into the water for the first time. However, Captain Greene’s favorite memory of Reuben throughout the years was during Hurricane Ivan and watching him dance in the Rain. Bella was almost a year old at the time, and they had to bathe her with rainwater caught in 5-gallon buckets. The most challenging thing for Captain Ware to do is to make sure that everything is in its place, but that is trumped by the disappointment on kids faces when their parents wait too long to book a trip and miss that time and experience together on the Intimidator. Reuben is married to his longtime sweetheart, Michelle who is a teacher at a Pensacola Elementary School, where he occasionally substitutes in his off time. They have a combination of five kids and four grandchildren whom they love dearly and some weiner dogs to play with and enjoy as well. Captain Ware studied at Pensacola Junior College and Oklahoma University, but he obtained his captain's license in 1997. A fun fact about Reuben is that he has had a mustache since he was “old enough to grow one,” he joked. In five years from now, he sees his self retired, and is counting down the days to it. His hobbies include auto mechanics, working at the school with his wife, Michelle, and cooking. He loves to eat royal red shrimp too. Chad Hall is from Skipperville, Alabama and has lived in Pensacola, Florida for about three years. Chad met his wife, Ivey, in 2004 when he was studying at Troy University. 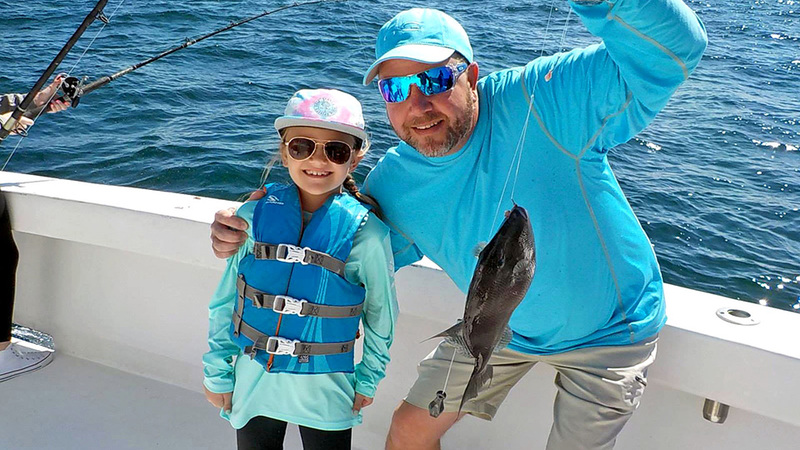 The first fish he remembers catching is a large mouth bass at 4.3 pounds and the very first rod, and reel he owned was a Mitchell 302 spinning rod. 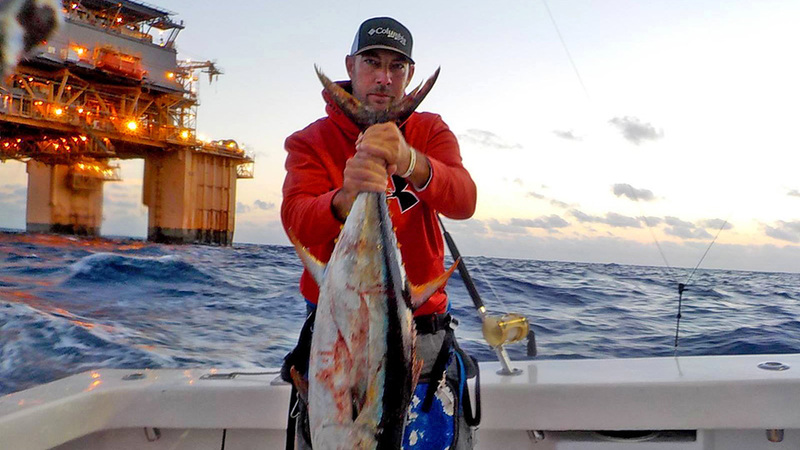 His first time offshore, in 1989, he recalls:“ I was just in awe of the opportunity and different experiences out there.” Chad reached out to Captain Johnny Greene around three years ago asking for a job. 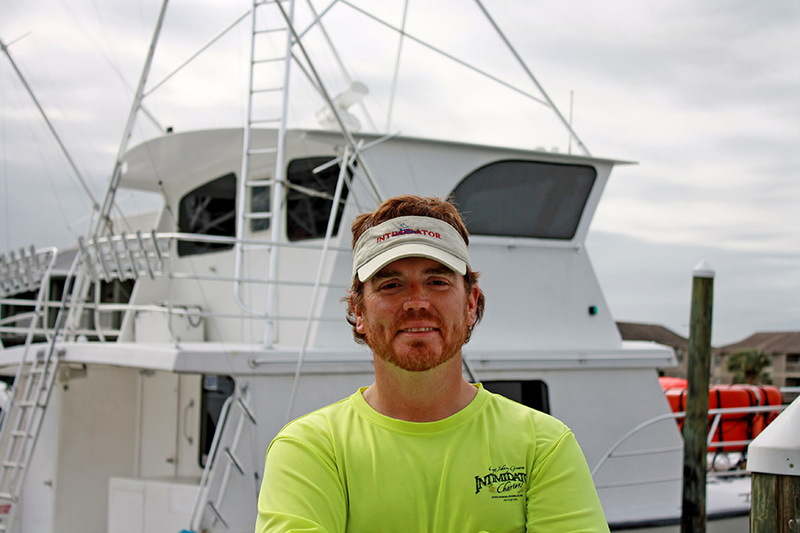 However, Captain Greene turned him down and said you need to go out on a head boat and get some experience, so he took the advice and worked for two years on one of the premier boats in Destin. However, in 2018 Chad began his time with Intimidator Sportfishing and has discovered his passion for catching wahoo on trolling trips. He also enjoys watching kids being able to catch their first with their family. The most challenging part of his job is maintaining a positive attitude and remembering that it is a team effort with everyone playing for the same time. 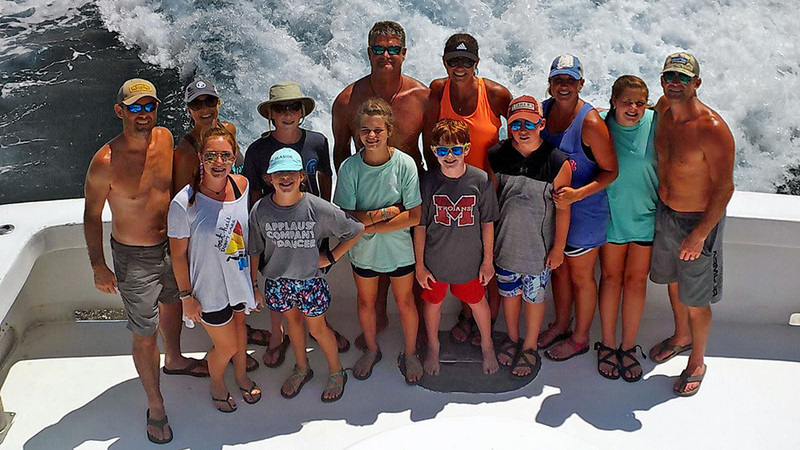 Just within a short year on the Intimidator, Chad’s favorite memory is catching an eighty-pound wahoo on the boat and being able to watch a Blue Marlin get caught and released back. Five years from now Chad sees himself still aboard the Intimidator and obtaining his Captain’s license. Chad used to record songs and was a touring musician. He was a singer and a songwriter and opened for national acts and was a promoter for BAMA JAM. 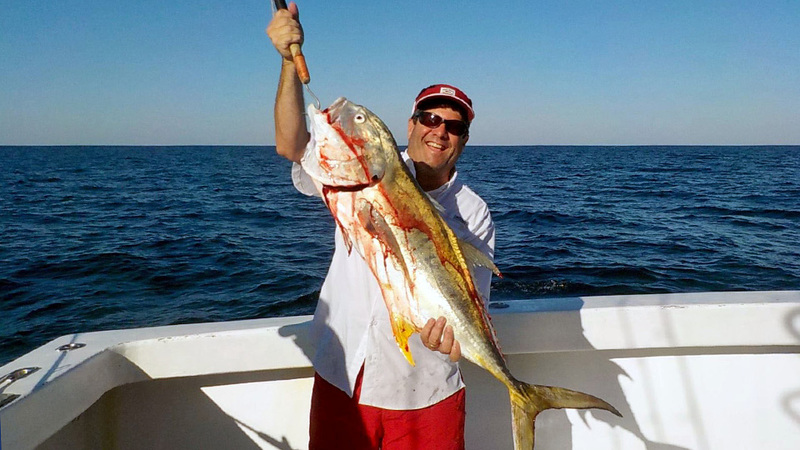 His favorite food is homemade buffalo wings, but his favorite seafood is fresh fried white snapper, or more commonly called B-Liners, with Orange Beach fish seasoning. Chad’s wife Ivey Hall works the night shift as a respitatory nurse at one of the major hospitals in Pensacola and is currently working toward her Physicians Assistant. The Hall family has 5 animals consisting of one cat and four dogs. Joshua Mawhorr is from Shreveport, Louisiana originally but has lived in Robertsdale, Alabama for about two years. Joshua is the youngest mate on the crew at twenty-one years old. 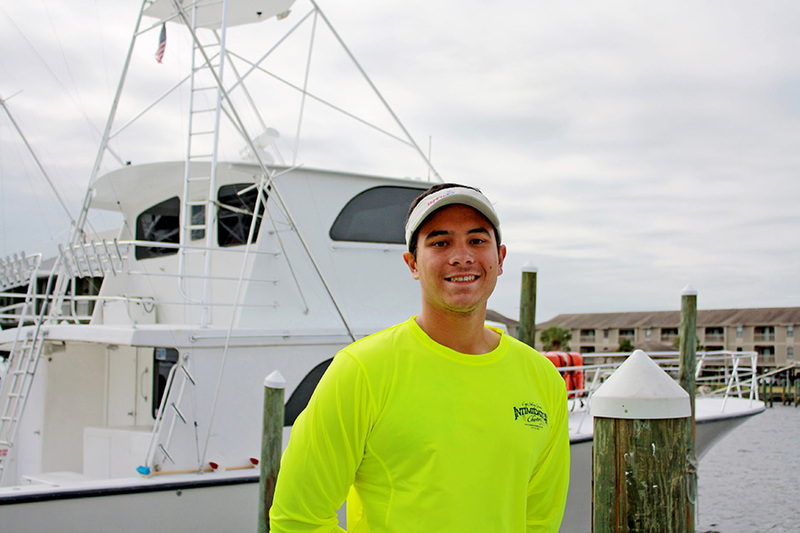 Josh enjoys being outside on the water watching other people smile while reeling in their fish and loves how rewarding his job is. However, his favorite type of trip to go on is a trolling trip, he likes how fast paced and always having to be on your toes. Joshua has his associate degree in business from Louisiana Tech and just received his captains license. 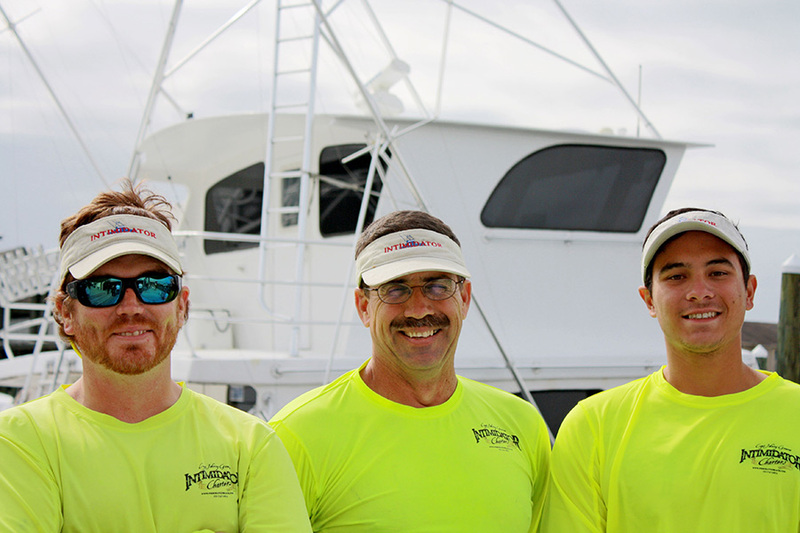 The most challenging part of being aboard the Intimidator team is to make sure that the boat is clean and safe for everyone. Josh’s hobbies include going to the gym, duck hunting and reading. His favorite memory so far was getting to watch a blue marlin dance across the water. His advice for first timer’s is to keep an open mind, and just relax and let the fish bite. Josh’s favorite food is coconut cake but his favorite seafood is shrimp. Five years from now he hopes to still be fishing but hopefully from the wheel house.